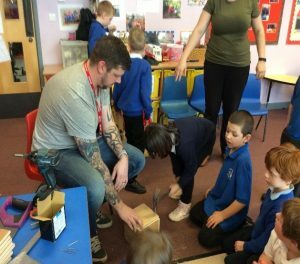 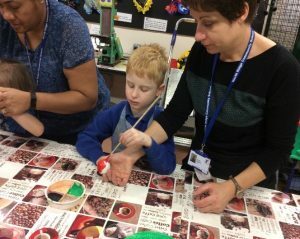 This week Pluto class was very busy. 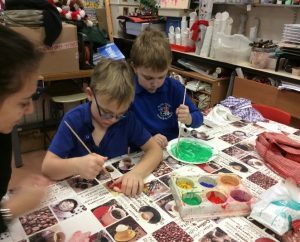 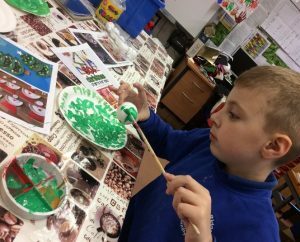 On Monday we visited the Art room to make some Christmas trees and colour some baubles. 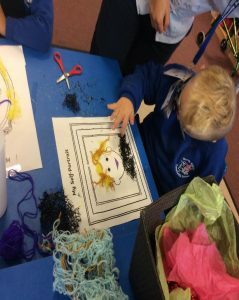 We used different colours and lots of glitter. 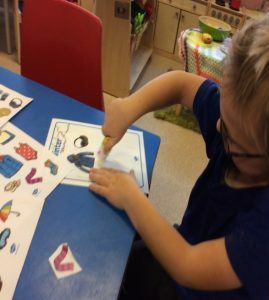 Another day we learned a lot of things about winter. 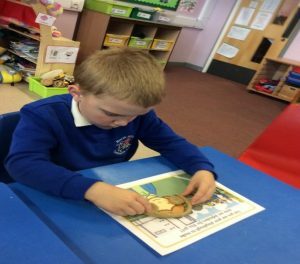 We talked about what happens in winter, the changes that are happening and the hibernation. 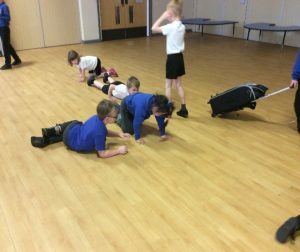 Later that week we had our PE session. 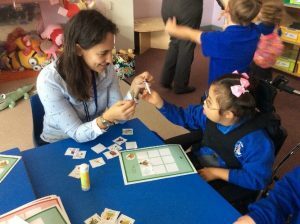 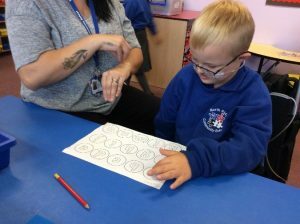 We enjoyed rolling the dice and copying the actions. 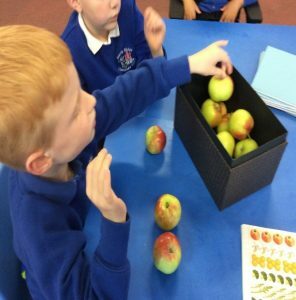 We also practised listening and following instructions. 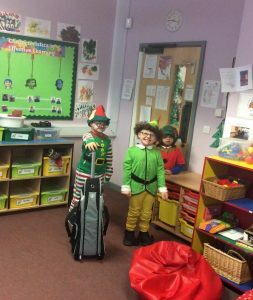 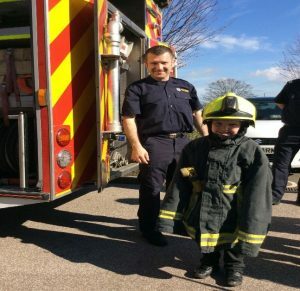 On Friday we got dressed as Elves as it was an Elf Day and we had lots of fun and play. 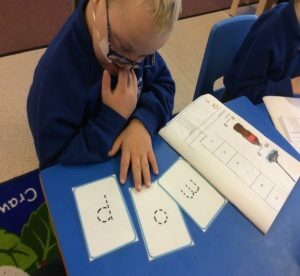 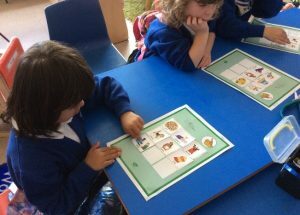 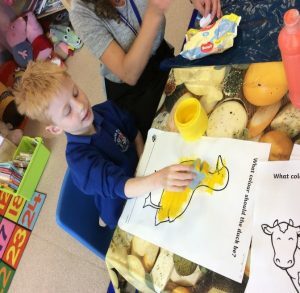 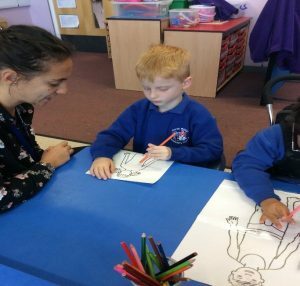 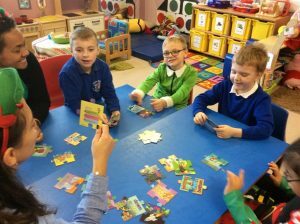 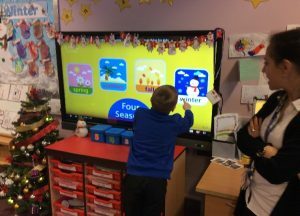 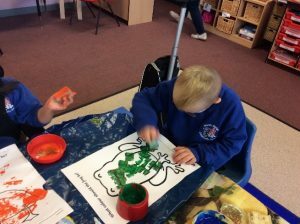 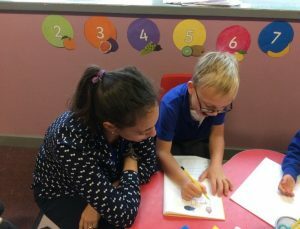 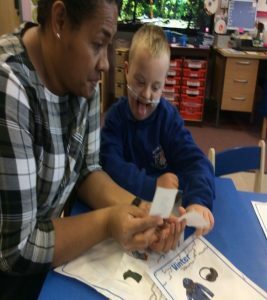 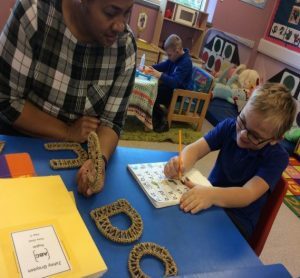 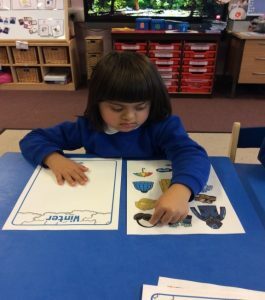 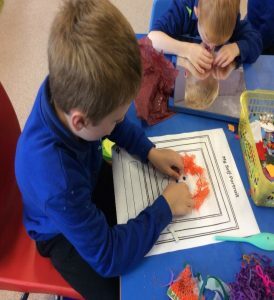 This Week Pluto class were very busy. 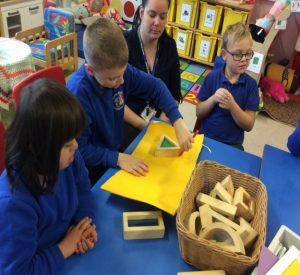 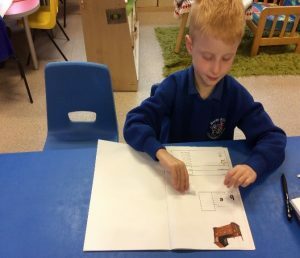 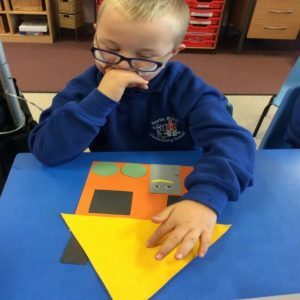 As part of our Maths topic we explored shapes, we drew outlines of them and we made trains, houses, snowmen and cats by using different paper shapes. 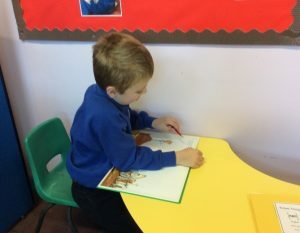 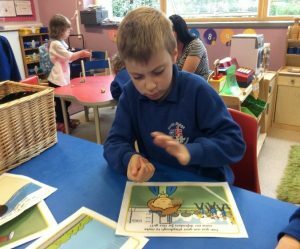 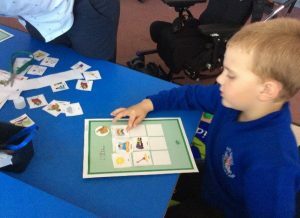 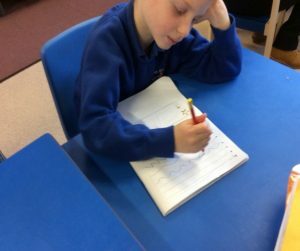 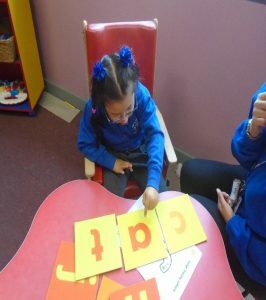 We also practised our reading and spelling skills. 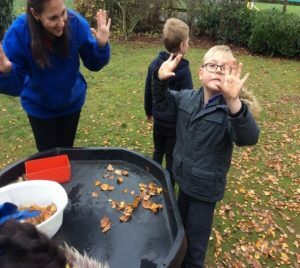 While having Science we talked about the seasonal changes and the winter. 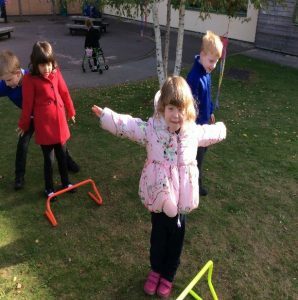 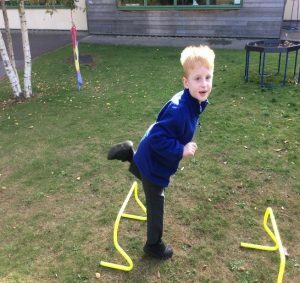 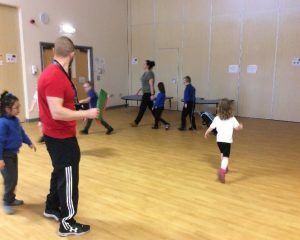 This week we used the hurdles to encourage our children to run and jump. 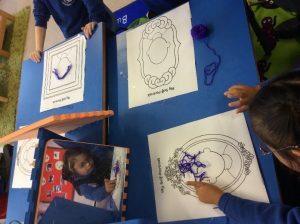 Another day while having a Science lesson and talking about the human body, we used play-dough to make objects for some parts of the body. 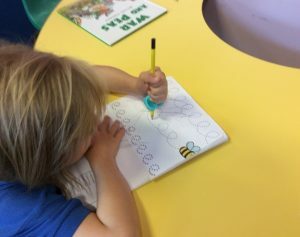 Later this week we worked on letter e, tracing lines over it and trying to find words that begin with e in our favourite books. 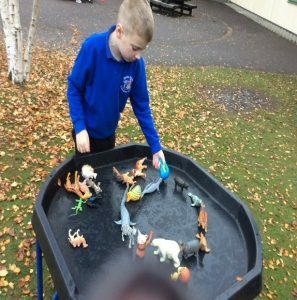 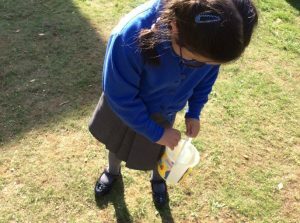 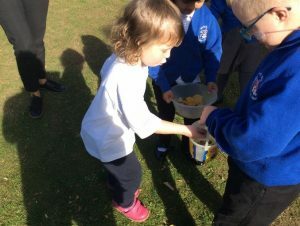 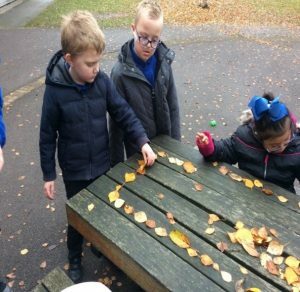 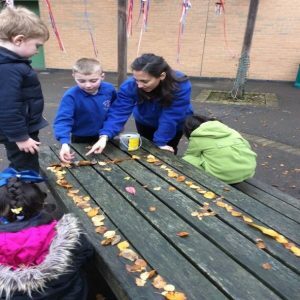 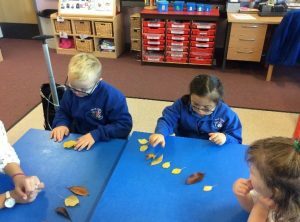 On Thursday we went in our playground area to collect leaves and pebbles in order to use them for our Maths activities. 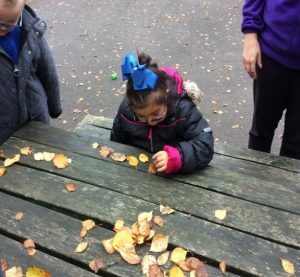 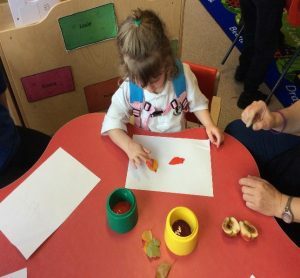 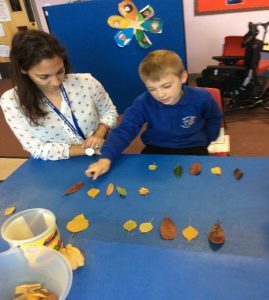 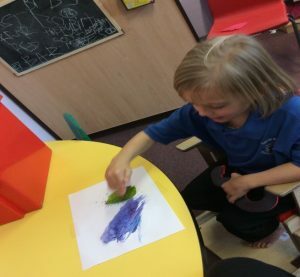 We then used those leaves for our Creativity session. 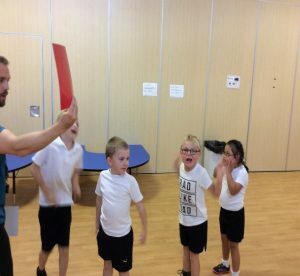 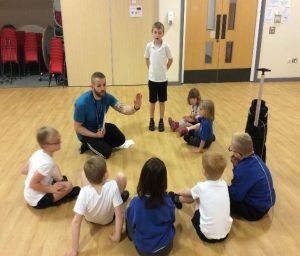 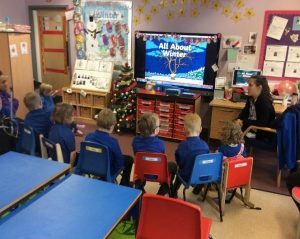 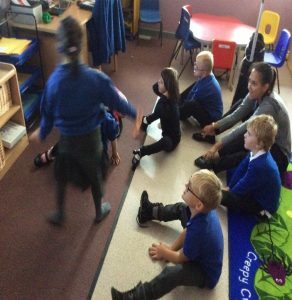 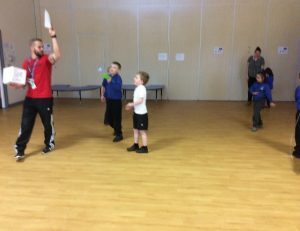 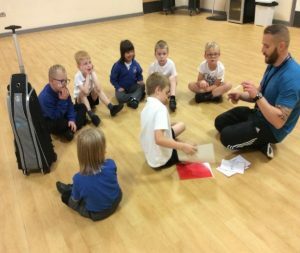 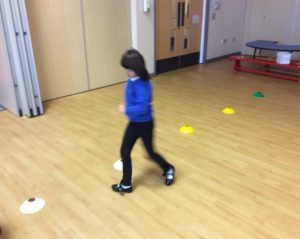 For our PE session we did good listening and good sitting and we practised start and stop actions with great success. 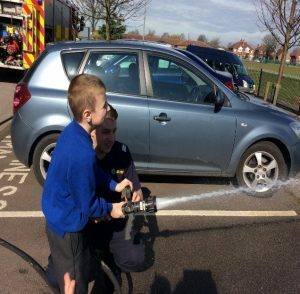 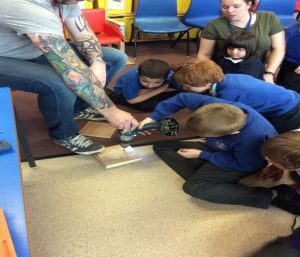 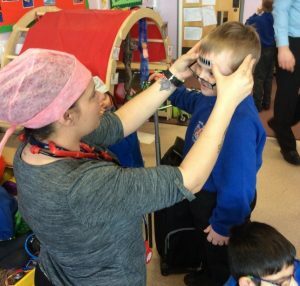 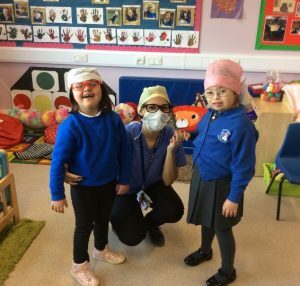 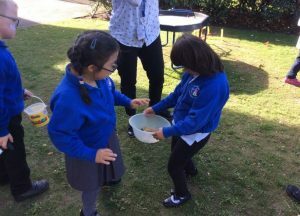 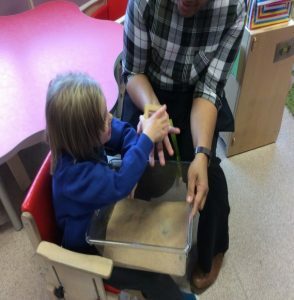 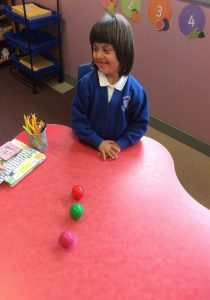 Pluto Class had lots of fun this week. 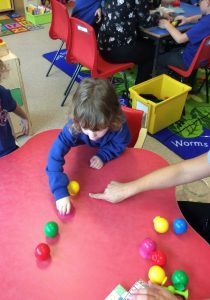 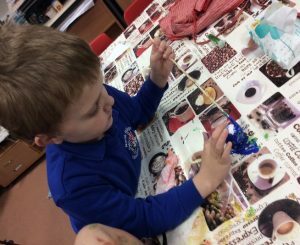 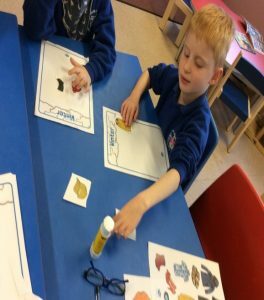 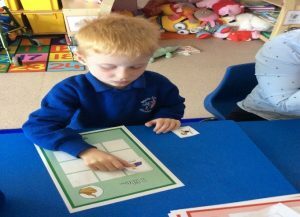 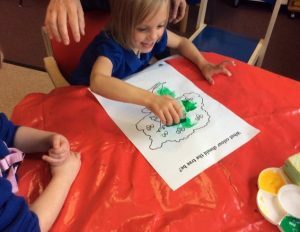 On Monday we were practising our counting skills by counting colourful balls and then we sorted them out in different colours. 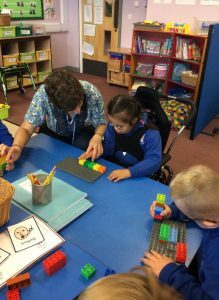 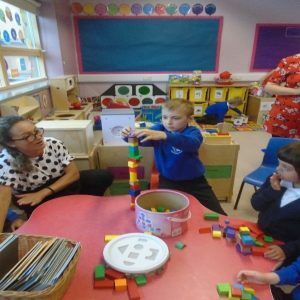 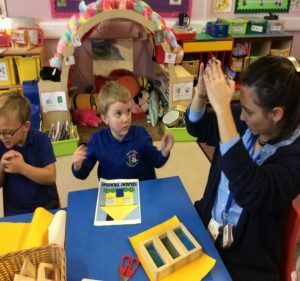 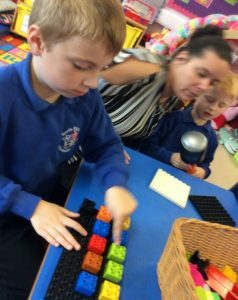 At the same time another group had to count blocks forwards and backwards. 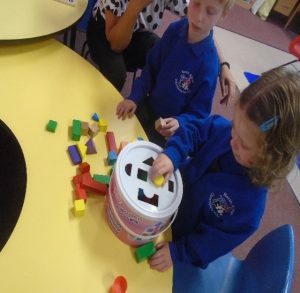 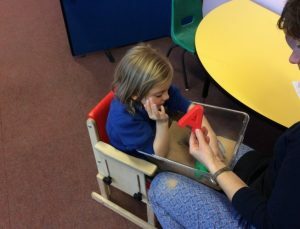 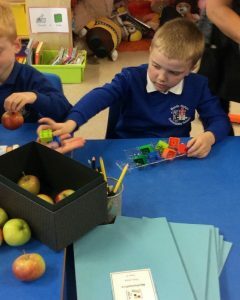 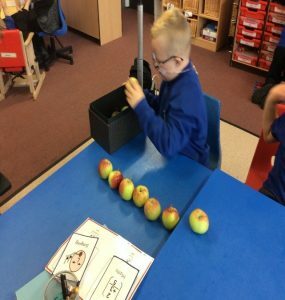 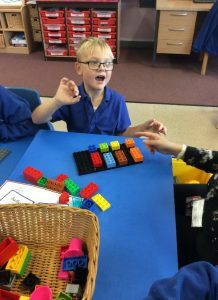 On Thursday we worked on the idea of subtraction using apples, egg boxes and Lego. 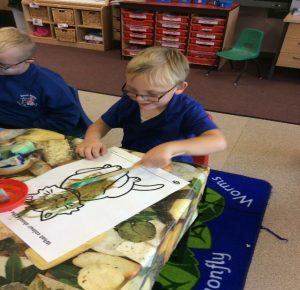 It was a busy week for Pluto class. 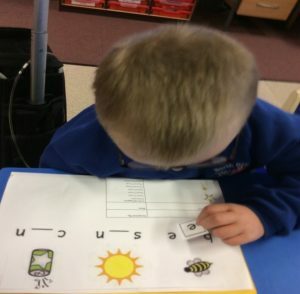 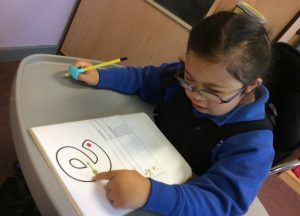 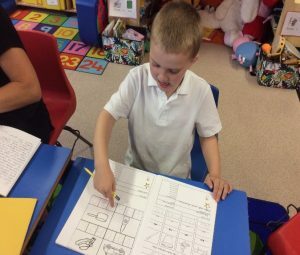 We learned letters and sounds and practised our writing skills. 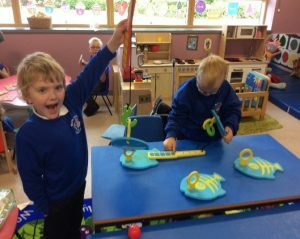 Another day we practised our counting by fishing! 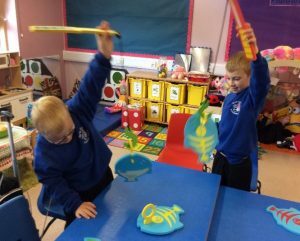 We caught a lot of number-fishes! 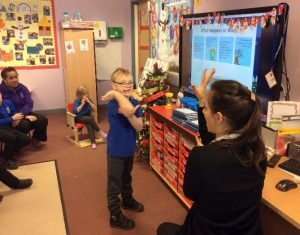 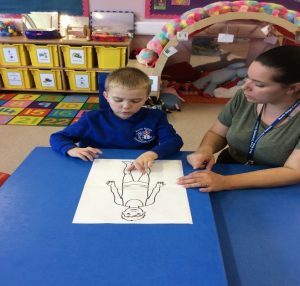 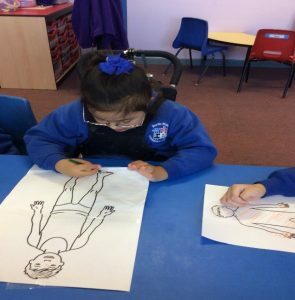 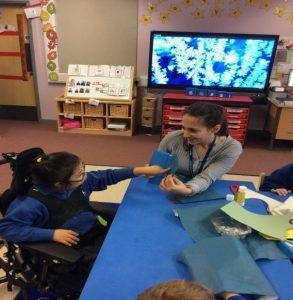 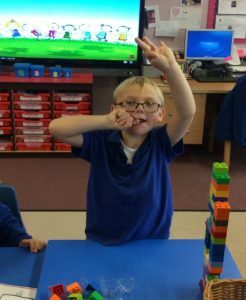 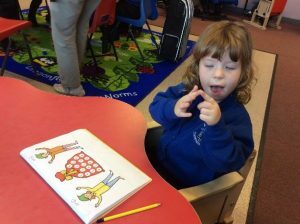 On Thursday we talked about the human body and we pointed to some parts of our bodies. 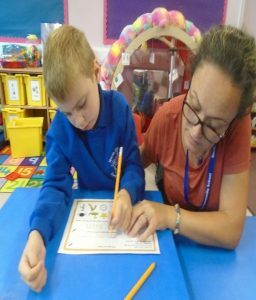 Our first week back in school was amazing. 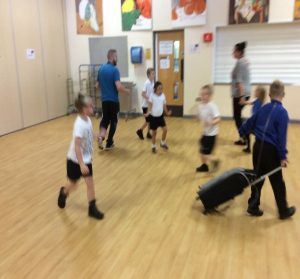 We are very excited to be back. 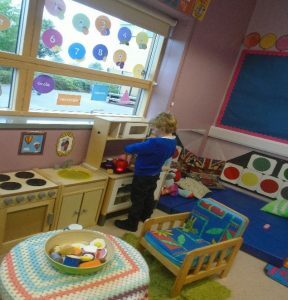 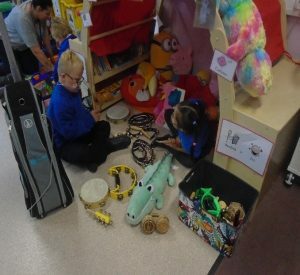 The first days we explored the classroom to find new things and our favourite areas. 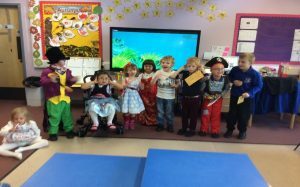 On Thursday we celebrated the Roald Dahl Day in style by dressing as our favourite characters from the beloved author. 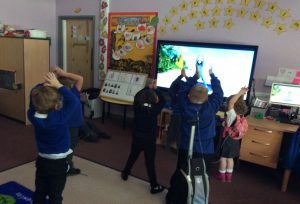 On Friday we had our yoga session. 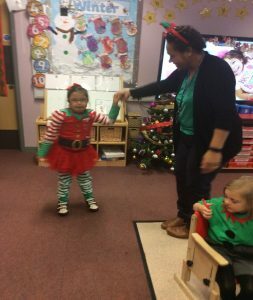 We really enjoyed it and had lots of fun.